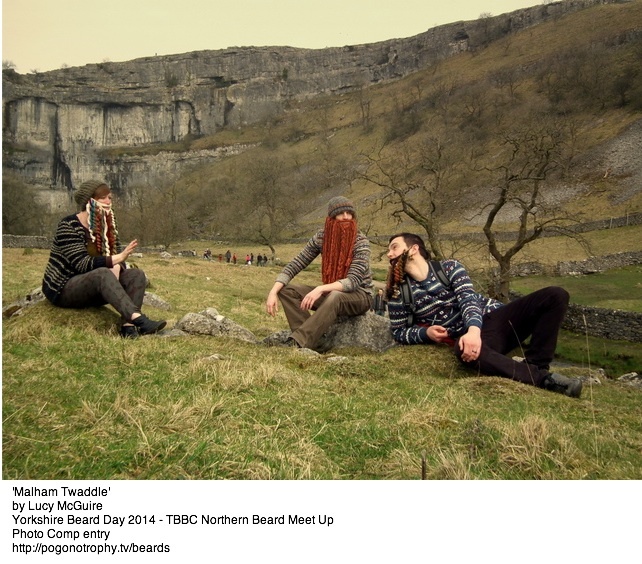 Yorkshire Beard Day 2014 TBBC friendly Beard Comp results! The most hotly contested catergories were Full Beard Natural & False Beard Freestyle. Overall standard was Very high in all categories. The Judges thank you all for showing off your beards at their very best! Special thanks to those of you who made special effort in the costume department. You did your Beards proud! Bragging rights this year go to the following…. 3rd = Tied result – Child with colourful beard and Metal beard Katy. 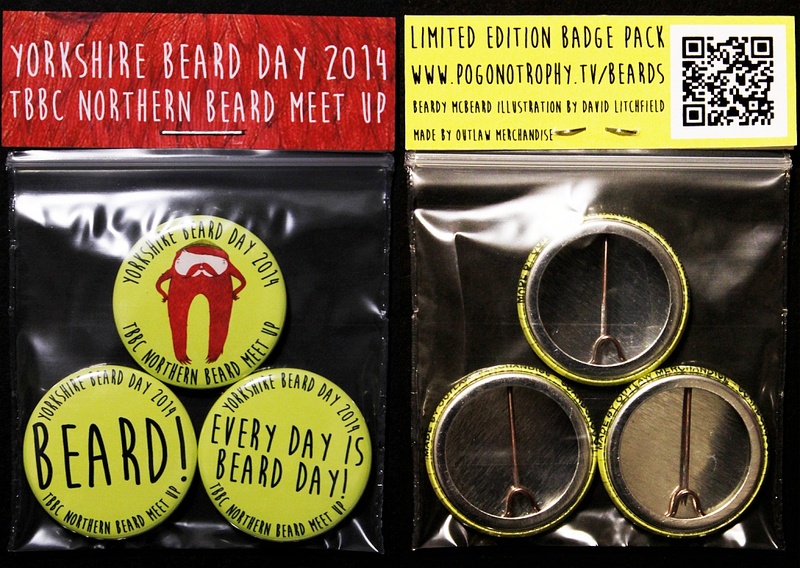 Yorkshire Beard Day 2014 Limited Edition Beard Badges! Only available to purchase in person at the Scarborough Spa Suncourt on Saturday 22nd March 2014. Hand Knitted Beards by Debby Hill, Various TBBC Thatch T-shirts, stickers etc.. Beard Registration and check-in on the day takes place 2pm – 3pm competitions start 3:15pm. Help our beard friendly chef get prepared by letting him know what you would like to eat in advance. Click here for Menu and chosen preferrence form. Entries for the Yorkshire Beard Day 2014 Beard Photo competition are coming in… here are a couple for you to have a look at… still plenty of time to take your own photo of a beard in the Yorkshire landscape and send it in. 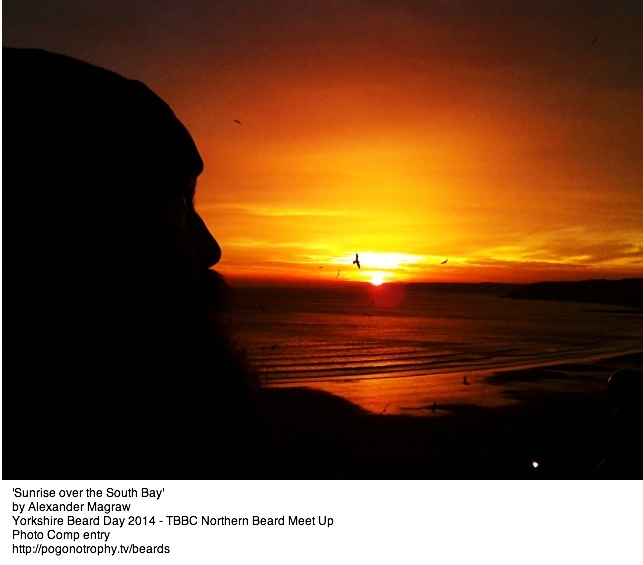 For Beard Photo Comp entry form & details click here. 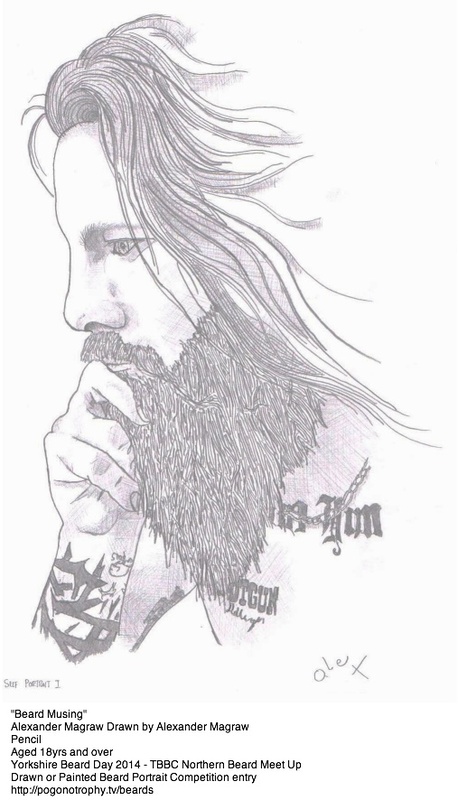 Entries for the Drawn or Painted Beard Portrait competition are coming in… here are a couple for you to have a look at… still plenty of time to create some of your own beard art and send it in. For Beard Portrait entry form & details click here. 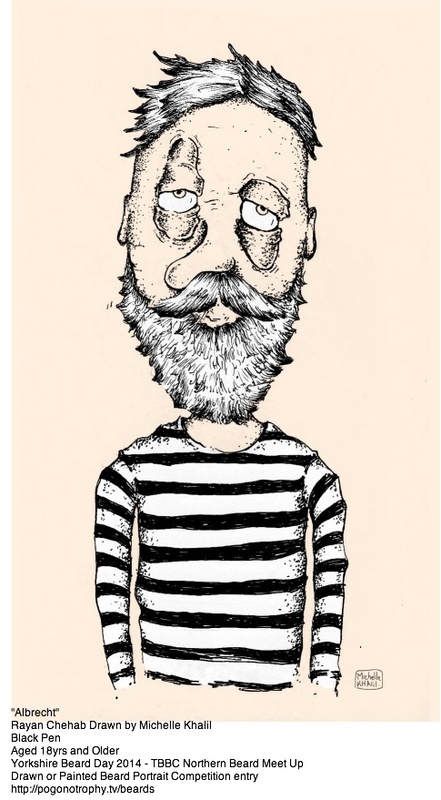 Yorkshire Beard Day 2014 – Get Ready! 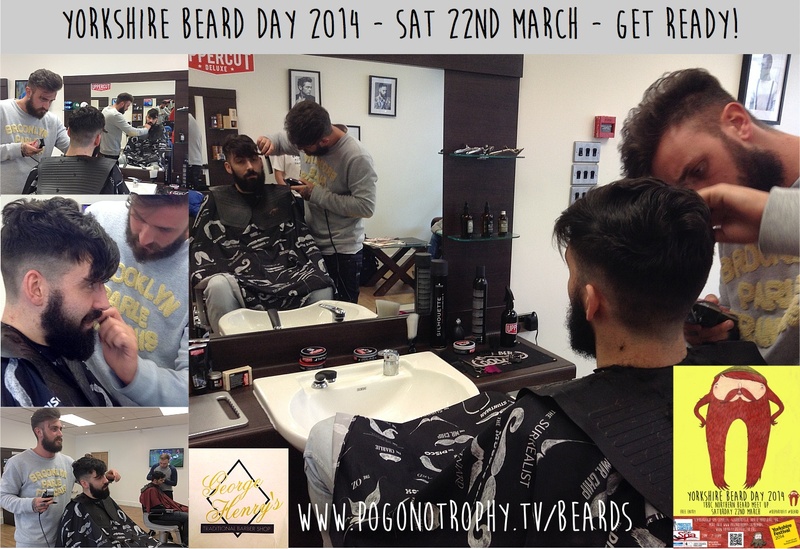 Meanwhile at George Henry’s Traditional Barbers Getting ready for Yorkshire Beard Day 2014 – TBBC Northern Beard Meet Up…..
It’s almost Yorkshire Beard Day 2014 O’clock! Are you ready? Live music, Beer, Stalls & Competitions throughout the afternoon. 6pm – move to Farrer’s Bar for *food, more Live music and to await the results. 7:20pm Judges announce results & Yorkshire Beard of 2014. *Help Chef and let him know your preferred Bearded Banquet menu choice in advance by clicking here.